Lucy McBath is afraid many more people will die if Florida Gov. 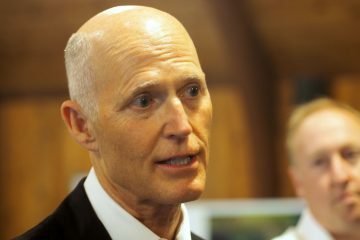 Rick Scott signs a bill making it harder to prosecute when people claim they commit violence in self-defense. She already lost her son, an unarmed black teenager, when a white man angry over loud music and claiming self-defense fired 10 times at an SUV filled with teenagers. The measure before Scott would effectively require a trial-before-a-trial whenever someone invokes self-defense, making prosecutors prove the suspect doesn’t deserve immunity. Scott hasn’t revealed his intentions, but he’s a National Rifle Association supporter, and this is an NRA priority. “If it passes in Florida, then they take that same legislation and they push it on the legislative floors across the country,” said McBath, whose 17-year-old son Jordan Davis was killed by Michael Dunn outside a Jacksonville convenience store in 2012. Many states have long invoked “the castle doctrine,” allowing people to use even deadly force to defend themselves in their own homes. Florida changed that in 2005, so that even outside a home, a person has no duty to retreat and can “stand his or her ground” anywhere they are legally allowed to be. Other states followed suit, and “stand your ground” defenses became much more common in pre-trial immunity hearings and during trials. The 2012 killing of unarmed teenager Trayvon Martin by neighborhood watch volunteer George Zimmerman opened a debate about the limits of self-defense, and it hasn’t let up since Zimmerman was acquitted of second-degree murder after jurors received instructions on Florida’s “stand your ground” law. Florida Republicans made this bill a priority after the state Supreme Court ruled in 2015 that the defendant has the burden of proof before trial. 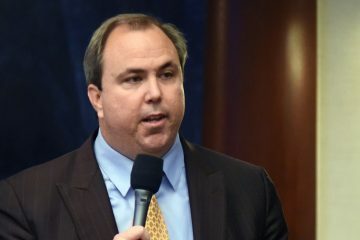 If Florida starts a national trend to shift that burden to prosecutors, it’ll be just fine with Republican Rep. Bobby Payne, who sponsored the bill. Only four of the 22 or more state “stand your ground” laws mention this burden of proof — in Alabama, Colorado, Georgia and South Carolina — and all place it on defendants. Senators originally wanted prosecutors to prove “beyond a reasonable doubt” before trial that self-defense didn’t justify a violent crime. The final legislation lowered the threshold to “clear and convincing” evidence. Either way, it makes prosecuting violent crimes more difficult, experts say. But public defenders say it should help people who were simply trying to defend themselves. Prosecutors often use the threat of minimum mandatory sentences to coerce people into accepting a plea deal even if their use of force was justified, said Stacy Scott, a public defender in Gainesville. “It’s going to force them to deal more fairly with citizens who are charged with crimes, and will help our clients either get better plea offers or exonerate themselves earlier in the process so they don’t have to wait until a jury trial and risk everything they have in order to litigate their case,” Scott said. McBath, who lives in Marietta, Georgia, believes the guilty will more likely escape convictions. It took two trials to convict her son’s killer of murder. 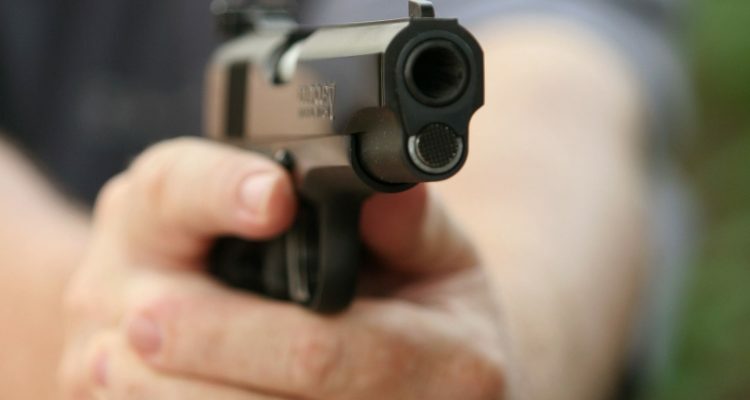 Justifiable homicide claims have doubled on average in states that have passed “stand your ground” laws, said John Roman of the independent research organization NORC at the University of Chicago. Also, whites who kill black people are 10 times more likely to win a “stand your ground” claim than blacks who kill whites, said Roman, who analyzed these cases while at the Urban Institute think tank. Studies also show that white people are more likely to feel threatened by black people than the other way around, “and if you then add onto implicit bias the ability to use lethal force, it’s reasonable then to expect that lethal force will be disproportionately applied to minorities,” he said.